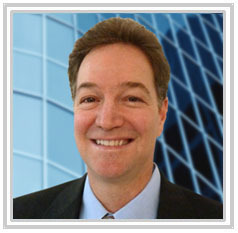 Mr. Waldman has over 25 years of experience practicing law in Southern California state and federal courts. He received his Juris Doctor degree from the University of San Diego School of Law in 1992 and his undergraduate degree from Tufts University. Mr. Waldman is a native San Diegan with strong ties to the community. He grew up in San Diego County and is a graduate of La Jolla High School and Muirlands Junior High. Following graduation from Law School, Mr. Waldman spent 17 years as an attorney with the San Diego law firm of Branton & Wilson, a full-service law firm which grew to more than 20 attorneys. Mr. Waldman was a shareholder and partner at Branton & Wilson for many years and served as chair of the firm’s litigation department until the firm disbanded in December 2010 at which time Mr. Waldman formed his own firm. For nearly four years, Mr. Waldman also served as a Judge Pro Tem for the Superior Court of California, Small Claims Court division in San Diego. In this capacity, Mr. Waldman sat as a small claims judge for the evening calendar wherein he issued rulings and judgments over a wide range of cases including minor motor vehicle accidents, collection matters, and landlord-tenant and breach of contract disputes. Mr. Waldman has also had the honor of having an Opening Statement that he gave in a trial on behalf of a personal injury client published in a prominent legal practice book that is used to train other trial lawyers. Throughout his legal career, Mr. Waldman’s primary focus has been the representation of personal injury victims – wherein he has achieved outstanding results on behalf of his clients. Opening Statements, West Group, 1999 Cumulative Supplement, “Damages Arising from Neck and Shoulder Injury Sustained in an Automobile Accident,” Stephen L. Waldman, Esq., page 142- 149. Lane’s Goldstein Litigation Forms, (2012), Part IV Trial, Chapter 50 Witnesses, Section 50:16, “Outline for Direction Examination of Treating Physician”, Stephen L. Waldman, Esq. Lane’s Goldstein Litigation Forms, (2012), Part III Discovery, Chapter 28 Production of Documents and Things, Section 28:17, “Request for Production – Breach of Contract”, Stephen L. Waldman, Esq. Personal injury cases require immediate attention. Contact our office at (619) 255-2844 as soon as possible after an accident. Mr. Waldman offers evening and weekend meetings and home and hospital room visits if needed. Personal Injury cases are handled on a contingency fee basis which means that there is no fee unless a recovery is obtained on your behalf.